I love that block! Your quilt is going to be beautiful! 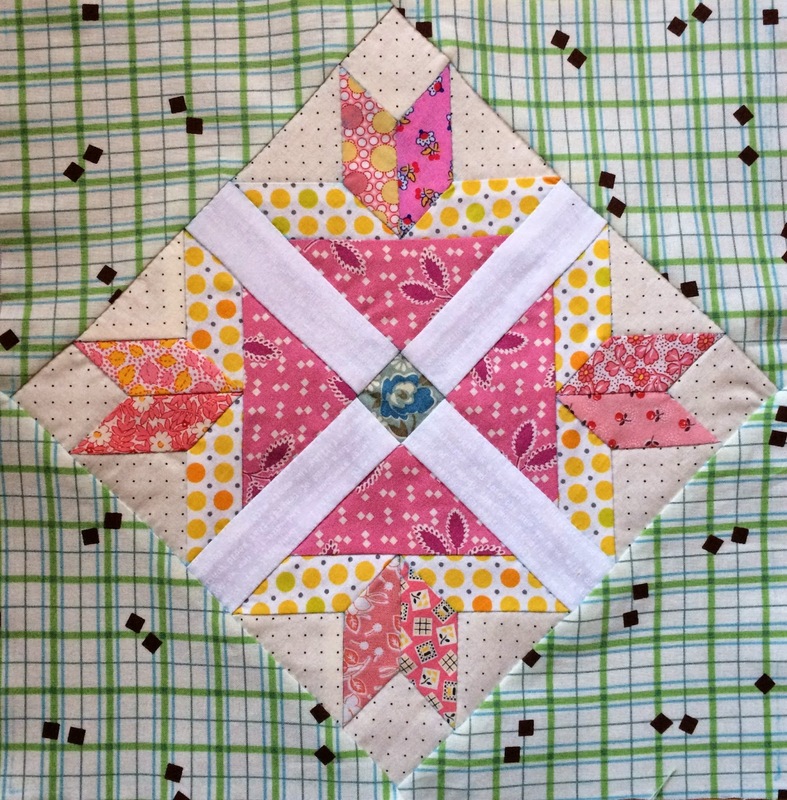 The block is lovely and the stitching is cute. Gourgeous block!! A zillion years ago when I was a nanny I looked after the cutest boy, everyone would say so, to the point where he would walk around announcing to people " I am So cute! ". It was really cute. Lovely fabric choices in you Green Tea block. Mmm I'm spotting some dots! Looking good! I LOVE this block! It is indeed cute! More details please?? ?